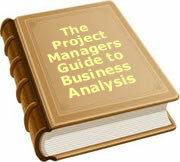 Carrying out analysis is very often a random information gathering process for many organisations. On the other hand there are a number of techniques that fit particular circumstances. Some examples are Use Cases, decomposition techniques and business process. This first of two white papers provides a generic approach to analysis. In this paper we cover collection of information. In the second part we cover analysis and the development of options. Externally means going into the marketplace to look at what your competitors are doing. For example looking at software packages or outsourcing your motor vehicle fleet. Past means looking at historical information. For example looking at trends in staff turnover by department over a period of time. Present means doing an analysis of what is happening now. For example an existing business process, or staff numbers across branches. We will investigate each in more detail below. This area refers to looking at what happened within the organisation in the past. The information is useful for predicting volume/size of a required component into the future. If the business problem was lack of space in a call centre, the last question is relevant to understand the required size in the future. This area is more about what is happening with our competitors and the environment. The information is useful to understand likely impacts on the option we may select. If the business problem was investment in mining rights for a particular region, the latter would be relevant to create financial projections. This is almost always an area for investigation. It looks at what is happening in the organisation today. It helps us understand our starting point. If the business problem was lack of experienced and qualified staff in a particular area, the last point is relevant in understanding where we are. Many projects require us to know what is happening around us. We may need to know the current situation outside the company in order to know our starting point. The last point is relevant if the business problem is a lack of training of staff in Occupational Health and Safety. This is focused on designing something for the future. It is always required in order to develop options. What do we want the future to look like within the company? The revised salary structure would be relevant if the business problem was lack of consistency in what we pay people across branches. Sometimes we need to look at the future outside the company in order to create something inside the company. We need to build a model of the outside world in order to put a context around our proposed option. The last point could be crucial if the business problem was to understand the viability of buying a copper mining company. The first step is to decide which of the six areas needs investigation. You then need to understand what you need to know in each of the boxes. Sometimes the "what" is not clear as 'you don't know what you don't know'. Try to keep it fairly high level and if there are gaps, you just need to keep some time available to fill in the gaps. Having completed this step, it will provide a map to plan your analysis work. Once you have decided what you need to know, you next will have to decide the depth of information. In the example above, do you want to know the details of external training courses, or only the end qualification? How far do you want to spread the discussion regarding people who may potentially start a course? Before you start gathering information you need to decide how you will organize the information. If you skip this step, you will likely end up with a pile of paper that needs to be cut and diced into another medium. The information is being gathered with a goal in mind. If you are gathering information you will not use, you need to ask yourself if you are wasting time. There is often the temptation to find out things that probably have no bearing on the decisions to be made. If you are exploring a particular theme you think may possibly be relevant, constantly review progress to see if it proving to be irrelevant. If so, stop. Below are a number of different types of organizing information. Each will have a different method of collection. You are clear on exactly what you want to find out. If there is going to be lots of information, a database is a better solution. A spreadsheet is good for quickly adding formulas whereas a database needs to be programmed which usually takes longer and requires particular skills. If the information is diverse and has 'one to many' relationships a database may be the best solution. For example training courses. One person may attend many courses. If the total number of courses is in the 100s, it makes for a very wide spreadsheet. By mapping tool we mean something like Visio or ABC Flowcharter. This is particularly relevant if you are looking at business processes. A diagram more clearly explains a sequence of events than can be communicated by words. Text is the main medium where the information is qualitative. Obviously some qualitative information can be delivered in tables, but if the analysis is predominantly quantitative, a spreadsheet or database may provide a better solution. Recording audio and/or visual information is also a good medium. It provides more impact than a written word. It is also good to communicate something that may be difficult to describe. If you were trying to explain how people go about stacking components into a container, words may not get the message across. Showing a video of the person doing the work is much more effective. Audio is also useful for recording interviews or workshops for later analysis. If you record an interview, there is less chance of key points being missed than if you are writing things down as you go. It also frees up your mind to focus on the questions rather than recording the answers. There are many web organisations that will provide an online survey for a small cost. In fact, you can build your own if you have some basic web development skills. These survey tools mean you can develop the questions and pass it to someone to do the work for you. They deliver the raw stats from the survey and can also delivery charts and graphs if required. There are a number of specialist tools available for analysis. Many of them are programs within Microsoft Office. For example we provide a Functional Decomposition Worksheet for Excel. It is covered later in the User Guide. There are also a number of databases using Access that are freely available, or available at a small cost. Companies develop templates for particular projects. There may be an opportunity to reuse these templates in a similar project. Having decided what you need to know, and the medium you are going to use to deliver the results, you now need to decide how you will gather the information. Listed below are a number of approaches. Each has pros and cons so you need to decide what best fits your need. Participant Stakeholders - ones who are going to be involved in some way in undertaking the analysis (e.g. carrying out interviews, running workshops). Audience Stakeholders - ones who are interested in the results of the evaluation. Any particular stakeholder can be either of these types of stakeholders or both types. In the early stages of the analysis stakeholder consultation may also involve aspects of how the analysis should be structured in addition to just the evaluation. This consultation may focus on ideas for the design of the program; getting stakeholder support for the program; developing a summary of what a workshop concluded. Individual interviews are good for getting information from a single person, but do risk bias. People tend to be more open in a one on one interview than they are in a group. Rather than travel to different locations, it is sometimes better to interview someone via telephone. It is not as personal as talking face to face but is expedient. The downside is that there is no reading of the body language or knowing what exactly is happening to the person at the time. Are they sitting where other people can hear them and providing less than candid answers? Are they overdue for a meeting and just want to get rid of you? Holding a group discussion is a good way to get lots of people with information together in one room, and get the job done quickly. The biggest problem is group dynamics. Many groups tend to have leaders who dominate; there is an element of deferring to superiors; they can look for a simplistic silver bullet. There is also an element of creating expectations. Groups often reach a point where they have developed a solution to the problem and expect it to be implemented. They may be only one of the contributors and someone else may have a more viable option. In most situations that need analysis, there is a vast amount of information available both within and outside the company. Talk to people in the sphere of the business problem area and find out what information is available. Sometimes it might be on a computer and other times it is in someone's bottom drawer. Talk to people in similar companies. Talk to industry organisations. Talk to organisations who work in this area. Search the web. By document analysis we mean reviewing documents to gather information. Usually this is statistical. The information may be details on delivery dockets, lease agreements, contract payment terms etc. Sometimes it is tempting to take somebody's comments as true without validating their observations. Document analysis may be required. If you are told that most of our motor vehicle leases are for three years, perhaps you need to review a sample group to confirm the fact. It is quite valid to have an external technical expert provide a report on the situation. They will likely have a broader view of the situation than an internal resource. If there are a considerable number of people to contribute, a survey is a good tool. There do however have to be a statistically relevant number of respondents. Saying 50% of people hold a view is not very relevant if there were only two in the survey! It is also worth considering whether the survey will raise more questions than it answers. For example if 50% support a particular view, why do they hold the view? What view do the others hold? "Would you rather reduce your working hours or be made redundant?" Does not support the proposition that x% of the organisation favour reduced working hours under any conditions. If possible, get input from someone who is experienced in market research when framing the questions. Focus groups are a method where the main emphasis is on collecting information which arises from the interaction between those involved in the focus group. They are based on the idea that it is in interaction between those in the group that a deeper analysis will evolve of the topic under discussion. Focus groups are different to a group discussion. A group discussion is a way to find out information. A focus group is a way to evaluate propositions. The focus group typically has something presented to them to focus on. It might be a number of options to be considered. It may be a range of propositions they are being asked to support or otherwise. An experienced facilitator is critical to the success of a focus group. Participant observation. In this case, the people who undertake the task are used to record what they do. For example in a call centre they may record the types of call they receive. This paper covers what information you need to collect, and how to go about collecting the information. The second white paper will cover how to analyse the information and draw up options and recommendations. To date, 9 people have rated this article. The average rating is 4.22 - Add your rating. Just select a rating and click the button. No other information required.